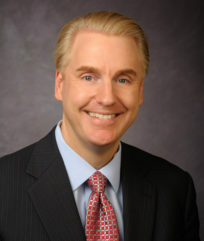 William “Bill” Stone serves as Chief Investment Officer at Avalon Advisors, LLC, a large Texas-based independent investment advisor offering investment management and financial advice for individuals, families and institutions. Prior to joining Avalon, Bill spent 18 years with PNC Financial Services Group, Inc., most recently as Global Chief Investment Strategist for PNC Asset Management where he was member of its Investment Policy Committee with responsibility for oversight of over $140 billion in client assets. He was responsible for providing asset allocation recommendations to serve high net worth, family office and institutional clients along with managing all model portfolios as Chairman of the Portfolio Construction Committee. Among the portfolios he directly managed were the widely utilized liquid alternatives and smart beta strategies. Prior to this, Bill held positions as Regional Chief Investment Officer at PNC Asset Management, Chief Investment Officer at First Western Trust Bank, and at Smith Barney and Salomon Brothers, where he began his career. He co-authored “A Portfolio Strategy with Hedge Funds and Liquid Alternatives” in the Journal of Investment Management. Bill is a frequent guest contributor to CNBC, Bloomberg TV, and Fox Business, and has been quoted in Barron’s, the Wall Street Journal, Bloomberg News and other publications. Bill holds the Chartered Financial Analyst and Chartered Market Technician designations. He earned a M.B.A. from University of Pittsburgh and a B.S. in Finance from University of Dayton.